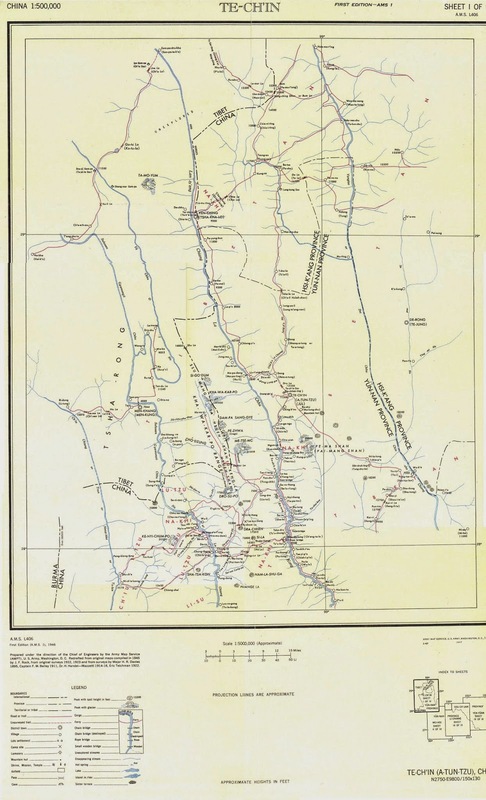 As prepared by US army cartographers based on Rock's surveys and hand-drawn maps. I've checked the details - they're pretty accurate. This covers the area I'll be traversing next week - from Cizhong to Baihanluo. Click to magnify for detail.